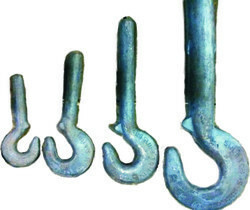 Our product range includes a wide range of forged steel eye hooks, s. s. 304 crane hook, crane hook and hook blocks and forged steel shank hooks. 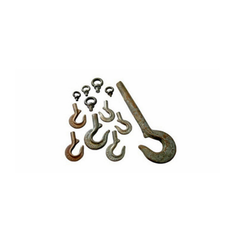 We manufacture a wide range of Forged Steel Eye Hooks which are applicable in various industries for moving, lifting and shifting the goods from one to other with carefully. Manufactured using premium quality steel and advanced technology, these hooks are available with us in various preferences. We supply these hooks to our customers as per their requirements in durable packaging at affordable price tags. We are suppliers of Crane HOOK, these are S.S. HOOK IN GR. 304 could be customised as per client requirement. Clients can avail from us high-quality range of Crane Hook and Hook Blocks up to 300-ton capacity that is easy to maintain and have simple operational features. These are provided to our clients in various capacities starting up to 300 tons. They are widely used for cranes & goods lift. Our ranges of products are well known for their high strength, sturdy construction and superior functionality. These can be customized as per the specification laid by the clients to fulfil their requirements. 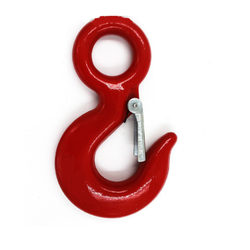 Our Pulley Hook/Block Hooks are widely in use.